Boost your web application’s appeal. Servoy 8.1 makes it easier for you to use CSS to polish your application’s UI and control behaviors, such as transitions. It reduces the complexity of writing CSS code for your entire web application and increases your productivity using standardized code. 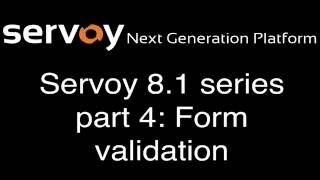 This webinar explores key concepts of working with CSS in Servoy 8.1. Visit GitHub to see this sample’s code, wiki and how to. Design new forms quickly. See how the new form designer allows you to build responsive forms from scratch in record time. We show you how to install and manage web components, layouts and modules using the new package manager. You’ll also see how the WYSIWYG editor works together with the outline view to show different views and device previews. Treat non-SQL data like REST web services as SQL data for greater productivity. 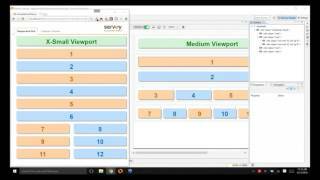 Simply determine the data structure and use it in the WYSIWYG form designer. We show you how to define the data structure of a REST web service, use the data to build your UI, bind it to RESTful web services and define relations to the data source. 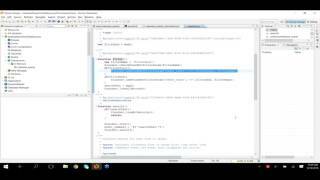 Validate data in line. Use form inheritance to extend to other use cases. Connect to elements in a dataChange event. We show you how our new form level event makes your work easier. This new feature was one of the most requested by the Servoy community. Create UI snippets and reuse them as many times as you need, without slowing down your application. 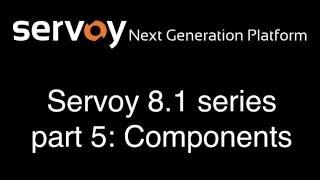 Servoy 8.1 gives you more ways to create grids or add new grid components. We show you how to use the brand-new form component and grid component features to improve productivity and performance.